Company D, 314th Infantry Regiment A.E.F. and the author Carol Sones Shetler to share the article published June 1, 2016 about Harold W. Lauchle. HUNTERSVILLE, PENNSYLVANIA - "I'll go," volunteered Harold W. Lauchle when the Private learned his Lieutenant was about to leave their position. Stepping out, the soldier was hit resulting in shrapnel being imbedded in his right leg. 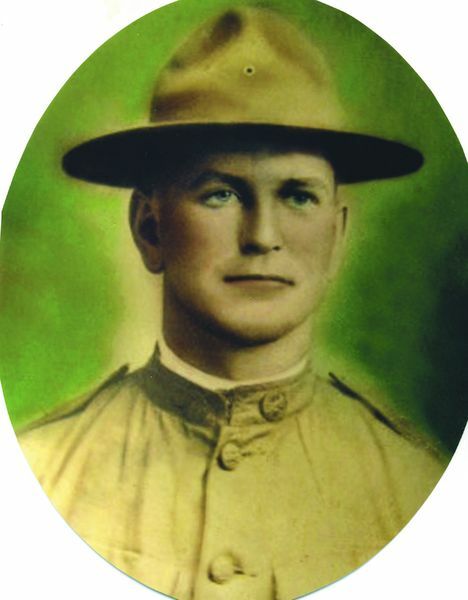 Lauchle, a member of Company D with the 314th Infantry Regiment during WWI, was on the front line of battle at Verdun, France. The regiment had left Fort Meade, Maryland arriving in Europe in May 1918. Whisked off to the base hospital on October 10, 1918, Lauchle was treated and remained hospitalized for nearly a month. An excerpt reads, "In the hour of battle, Thou hast seen and known me. If it is Thy will, raise me up and restore me to full health and strength, and thereby to active service among my comrades." Alas, the private was unable to return to the line. Medical records ledgered November 7, 1918 noted, "Ready for transfer to the U. S. A." Eighteen days later, the Private arrived at Debarkation Hospital #3 in New York City. At the hospital, Lauchle met a mother who came often in search of her soldier son. The distraught woman caused such a disturbance, staff tried to keep her from the premises. Lauchle consoled and befriended the grief-stricken mother resulting in her gifting him often with lemon pies. "He never spoke to us of the war," said daughters Helen Mayer and Vera Gail Eppler, both Montoursville area residents. 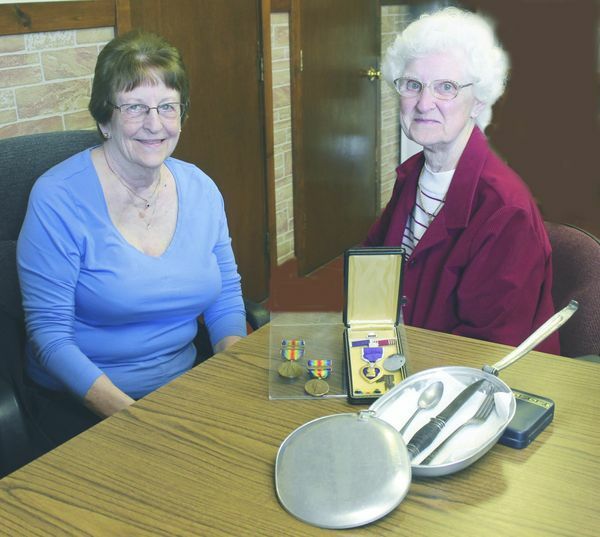 The sisters displayed their father's Purple Heart, a medal from the Meuse-Argonne Defensive Sector, a dog tag and other items including a mess kit. When the United States joined WWI in April, 1917, men with birthdays during the 1890's were ripe for military service. Born January 19, 1892 between Pennsdale and Huntersville, Pennsylvania, Harold was numbered among the twelve children of Casper R. and Eliza C. (McConnell) Lauchle. The circumstances are unknown as to how the soldier met his wife Glenna E. Kresge of Hillsgrove, Sullivan County, PA. What is known is the couple exchanged correspondence during a four-year period. She addressed him affectionately as 'kid.' The nuptials occurred on April 13, 1918, the month before the groom sailed for France. When his stint in the Army ended, the reunited couple purchased a farm between Hughesville and Picture Rocks. Later they procured a property near Huntersville where the veteran farmed more than forty years. During that time, six children were added to the household. First came the sons, Earl Dean and Morton Edgar Lauchle, the latter nicknamed 'Dutch.' And then four daughters arrived including Rita Alma Lauchle, Helen Marlene Mayer, Alvena M. Tupper, and Vera 'Gail' Eppler. Ever a farmer at heart, Lauchle joined the Allegheny Grange, an organization advocating on behalf of agriculture. He was a member of a Legion Post in Williamsport, and the family attended Heilman Church. Though the father was not much of a joiner, neighbors often gathered to play cards. 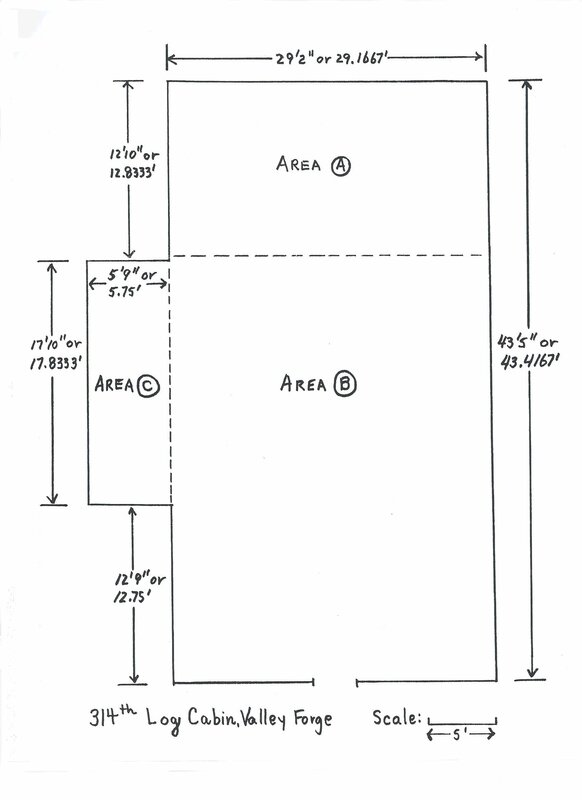 Friends recalled from the vicinity were George and Carrie Henry, Art and Roseanna Gatz, Wilbur and Clara Irion. Next door neighbors were Mr. and Mrs. Earl Biddle, Mrs. Lauchle's half brother. "We didn't have a lot of fancy things, but we had lots of love," daughter Helen said. "We loved him dearly and he appreciated friends. Our father liked children, and much to the surprise to those who came, he would get down on the floor and play with us." When the veteran walked, a minor limp was visible. Daughters Helen and Gail agreed their father's war wounds caused him to favor his right leg. The veteran had been fitted with a full length brace. After the midday meal and for ten minutes, he would lie down to rest. An unsteady step and a fall through the barn floor added to his disability. Helen said that, "Once my parents were teasing and mother snatched away dad's cane. Immediately upon falling to the floor, Dr. Gilmore was called and his diagnosis was that mother did dad a favor. Since then, the brace hung on the inside of the attic door." Of the Lauchle children, two entered military service. Earl, now deceased, was an Army veteran, and Vera Gail spent 24 years in the Air Force. The farmer who tilled soil along the Allegheny Ridge died April 12, 1968, and was interred at Pleasant Hill Cemetery, Hughesville, PA.
His widow received a letter of condolence signed by Irwin J. Rentz, Secretary of the Veterans of the 314th Regiment, A. E. F. In it he wrote, "A total of 2,628 have already passed to their Eternal Reward, far too many since our call to duty in 1917. The name of Comrade Harold W. Lauchle was recorded on the Bronze Tablet at Valley Forge, Pennsylvania. At this year's (1968) public memorial service, a silver star would be affixed alongside his name." Coincidentally, the 76-year-old veteran died the year of his regiment's 50th anniversary. and Helen Meyer, daughters of Private Harold W. Lauchle, late of Huntersville.